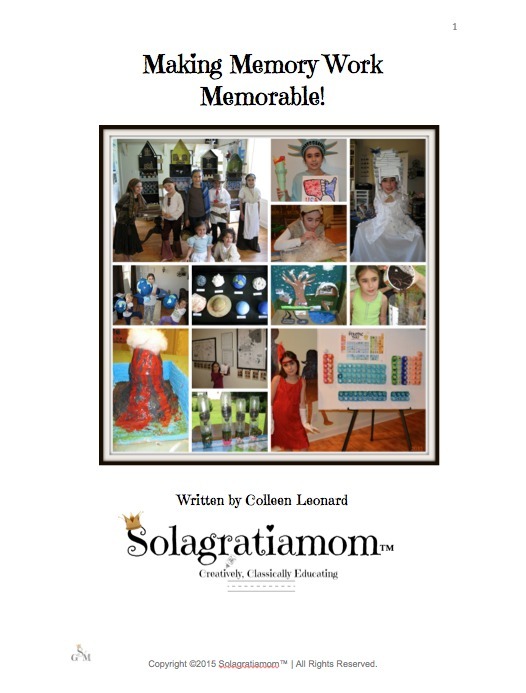 Solagratiamom: Fun Ways to Jump Start for Essentials of English Grammar! 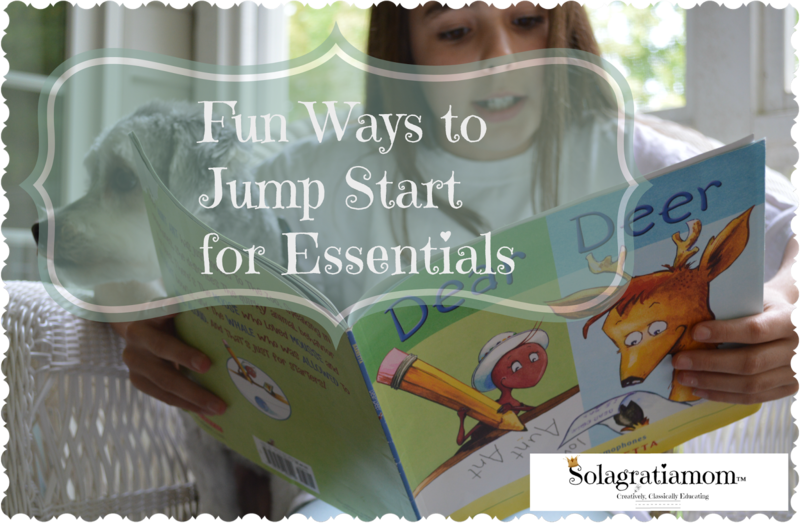 Fun Ways to Jump Start for Essentials of English Grammar! I have gotten questions from parents wondering how they can prepare their younger kids for the Essentials of English Grammar®. If you are using the Classical Conversations® Foundations curriculum, then there is nothing formal that needs to be done, beyond memorizing the English Grammar memory work for each "cycle" (and definitely don't discount that one - it will go a LONG way towards making Essentials easier)! (Essentials is Classical Conversation's class they offer children in 3rd Grade and up, focusing on English Grammar - you can go to their webpage for more information about their programs), there are few things that I think are fun that would definitely provide exposure to concepts, that they will be learning when they get there. If you are not in Classical Conversations®, then these are just great ways to make English Grammar fun for anyone getting their kids ready for a formal Grammar program! I encourage you again, that the English grammar will come calling when they get to Essentials (and Challenge later on), so do the memory work and spend time mastering the English grammar for the cycles. Recite in fun ways that make the memory work engaging so they don't loose interest. I have written previously on lots of ways to engage the kids with memory work and review. You can read about them at Tutor and Parent Ideas for Memory Work . To give you an example of what I mean - Chart A for the first week of Essentials has the following: 8 parts of speech, sentence structure, purposes of sentences, 5 parts of a sentence and 7 sentence patterns. These elements are all part of the memory work for the English grammar from the various cycles. They are no longer disjointed pieces of memory work but now they are a cohesive chart that ties them all together. So if your child has mastered their English grammar, they can check off Chart A very easily and quickly! Are you familiar with School Tube? It's got the whole collection of Schoolhouse Rocks videos - free, without all the garbage that your kids may run into on Youtube! I have utilized these type of videos when my daughter was younger. Often, while I would be getting lunch ready during the school day, she would watch a few. She could sit up in the kitchen near me and I'd just begin playing these videos for her. They're fun to watch no matter what the topic! Here is the link to School Tube. It's just another way to introduce grammar concepts, in a fun way, to make them familiar when they get to Essentials later on and begin to understand and use them. Listen to Fun Grammar Songs! There are a lot of fun grammar songs on CD that you can get and play. These are great to listen to when the kids are just playing in the playroom or riding along in the car. Giving the kids exposure to fun and catchy tunes about English grammar is helpful. Just look at how much easier it is to remember those pronouns from the memory work because there is a catchy tune. Hopefully, that gives you some ideas and things to choose from that might fit your child's learning style and interests, that will begin the introduction of grammar related concepts in a fun way! Great resources! I have to admit that I've never thought to memorizing grammar concepts before, but it does make a lot of sense! Thanks for stopping by Sylvia!